We travel to away games. And above all, we root for the Reds. 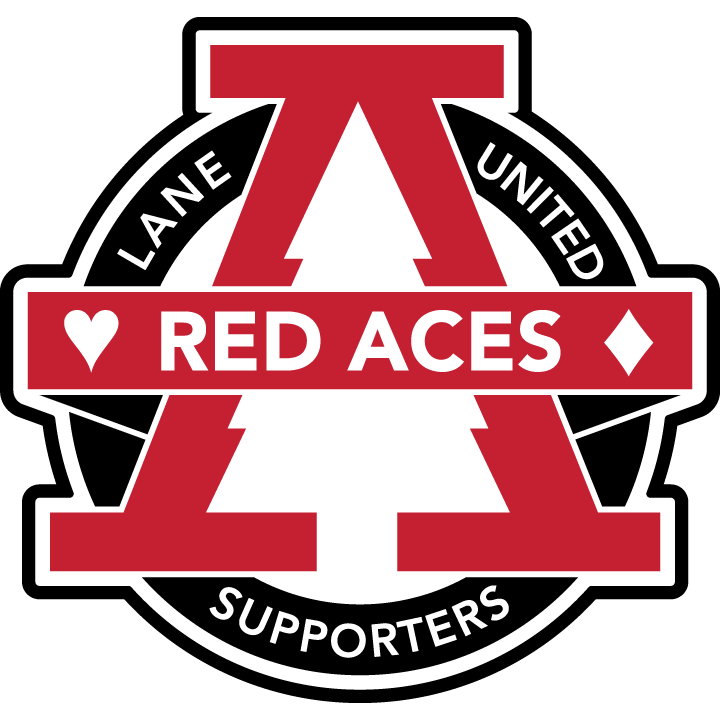 The Red Aces are an independent supporters’ group for Lane United FC. Supporting our boys in Red during their May-July USL League Two season is the Red Aces’ primary mission. The ranks of the Red Aces are broad. We have flag-waving hooligans, silent and serious fans, players, families, and anyone who loves to rally around a hometown club.